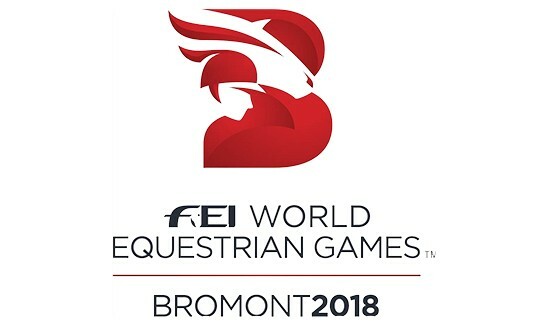 Horse Sport has confirmed that five members of the board of the 2018 Bromont WEG (COJEM) have resigned en-masse including: Luc Fournier, CEO; François Duffar, chair of the board, Julie Payette, Rene Perreault, and Linda Heathcott. In a frank interview with the regional newspaper La Voix de L’Est, Fournier was quoted as saying that he realized this week that the organizing committee would not be able to deliver a quality product and that it would take somebody better equipped than him to make it work. Fournier, however, is no stranger to major events, having spearheaded the Sherbrooke Canada Games from 2010 to 2013, the 1997 Quebec Winter Games, the Quebec Winter Carnival from 1997 to 2002, the Major International Events Network (MIEN) from 2002 to 2010, and the Canadian Festivals Coalition from 2006 to 2010. At the Equestrian Canada convention in Montreal last weekend, Fournier noted that the lack of financial support from the Federal Government has made securing major sponsors almost impossible. The lack of commitment from the host country’s government makes potential sponsors too nervous to commit millions of dollars. COJEM had asked Ottawa to provide a minimum of $8.75 million dollars. In the same interview, Fournier also noted that traditionally such events have a financial backer in case of financial shortfall, which is not the case for COJEM. Despite these enormous difficulties, the remaining board members of COJEM are continuing on. Rosaire Houde has been named the interim-CEO and is “optimistic about the future”. “Although we have heard nothing official from Ottawa, we have been told that the file is progressing well,” he commented about the likelihood of receiving Federal funding. Fournier, who has only been on the job since September 2015, is the second CEO to resign the CEO’s position. Paul Côté had been chair of the Bromont Bid Committee and was named once the FEI approved the bid but resigned last August. It is the first time in the history of the World Equestrian games that this prestigious event will be held in Canada, and the second time outside the European continent. Several elements do not seem to have been considred in this story. It would appear there are insufficient “rooms” available now and probably not in the future, to accommodate the expected visitors….the hotels are simply not there, and the ones now available have been booked for other large events. There is not the horse community to support such an installation AFTER the event to justify the huge expense of the facility nor the government support for such a small portion of the total population. There has been successive controversies relating to bids, architecture, and land acquisitions. Definitely needs to be reconsidered in spite of the anticipation and excitement after Bromont was announced as the recipient of the prestigeous event. Great disappointment. Canadian government more interested in promoting the horse slaughter industry than equestrian events. How was the bid secured for Bromont without promise of Federal funding? One would think having a potential major sponsor, and inclusion of Gov’t funds to pull off such a huge scale event would be important in the bid consideration. I hope they can pull it all together, having a WEG in Canada, especially one in Eastern Canada is exciting! Being from Ottawa, I am stoked to be able to go, and looking at ways I could volunteer (save up my vacation time etc). With respect to accommodation, I don’t believe there ever was the intention to house the majority of spectators in the community of Bromont. I believe from the outset, it was expected that Montreal and Sherbrooke would be the hubs for spectators and that bus service would be provided on a daily basis. (Much as in Kentucky for 2010). With the games scheduled to be completed before the end of August there should be fleets of school buses that could be employed in this effort (as in Kentucky). Bromont has been hosting major equestrian events since its beginning for the 1976 olympics and this update should continue to make the facility an excellent venue in the future. As for the funding, there should have been a solid commitment from the federal provincial and local governments prior to the bid award, but we all know how reliable governments are! we couldn’t possible do a poorer job than 2014 in France. So lets just all get behind this one. Write your MP. Would love to see a ‘follow’ on this story! How absolutely depressing. So sad for Canada and for Quebec Tourism. Could not be more unfortunate. It could have been a project to surpass all of our beliefs.